The editors’ guild gave gongs last night to two films that are also nominated for Best Editing at the Oscars. 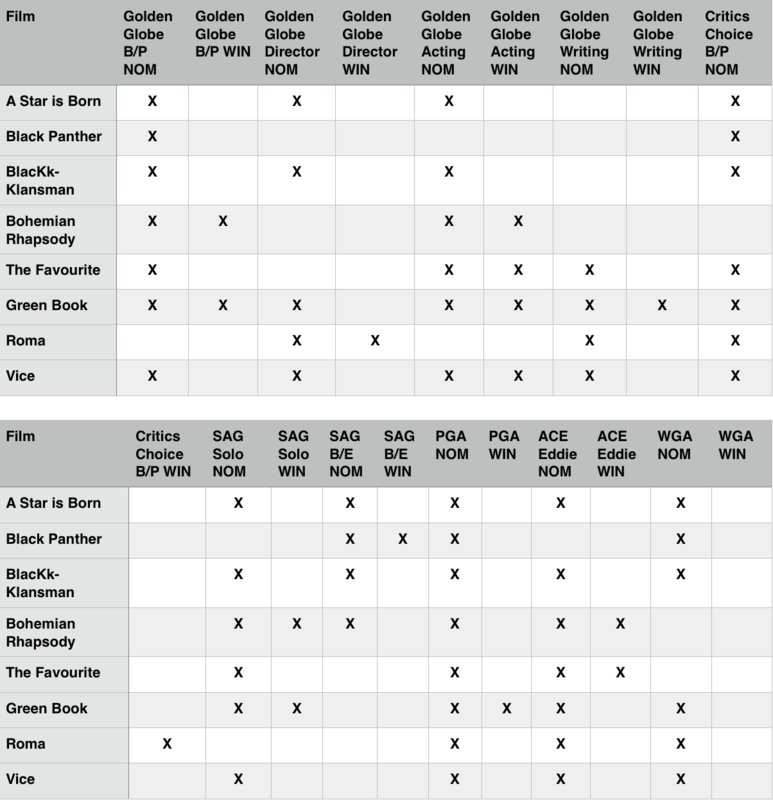 John Ottman won for “Bohemian Rhapsody” in the drama category while Yorgos Mavropsaridis won over on the comedy side for “The Favourite.” Let’s take a look at what that means for this year’s 35 boxes league table which catalogues key events on the road to the Oscars. With this win Yorgos Lanthimos‘ “The Favourite” moves up from fourth to a tie for third on 18 boxes ticked.”Vice” is currently predicted to claim Best Film Editing at the Oscars but with its loss here it stays at 18 boxes. Both films are one behind “BlacKkKlansman,” which missed out on the drama editing award, and four behind “Green Book,” which lost the comedy editing race. “The Favourite,” which beat Adam McKay‘s movie at the Eddies is currently in third place in editing Oscar odds chart. “Bohemian Rhapsody,” meanwhile, sits in fourth place on that chart. 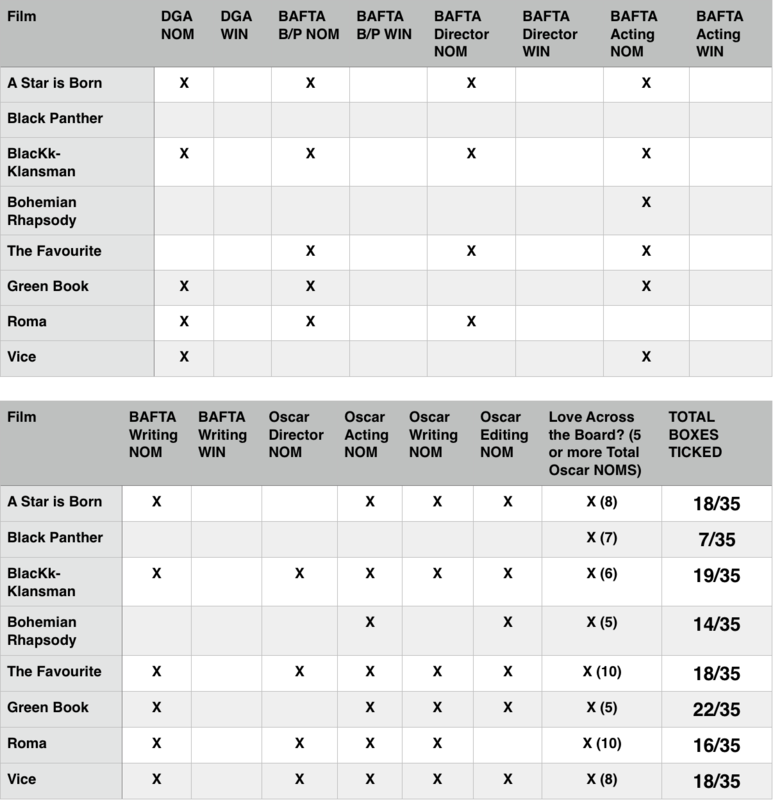 It won the Eddie over, among others, second-ranked “BlacKkKlansman.” Our Oscar odds chart may see some reshuffling in the aftermath of the ACE Eddies awards. Be sure to make your Oscar predictions so that Hollywood insiders can see how their films and performers are faring in our odds. You can keep changing your predictions until just before winners are announced on Feb. 24. And join in the fierce debate over the 2019 Oscars taking place right now with Hollywood insiders in our movie forums. Read more Gold Derby entertainment news.